I’m in the midst of training for fall climbing objectives yet, at the same time, must look ahead to how to improve my cycling fitness for the Nepal race in March. It’s important to look ahead because the further from an event you begin to train the more you can focus on power, which is, by far, how you can make the biggest improvements. Today’s post takes a look at an article on speed training for cyclists. Paul Rogers’ Aussie athletes dominated the Athens Olympics. This article talks about the training techniques he used, and also addresses why it’s not commonplace in the sport. There are great lessons here that, clearly, aren’t for everyone. Rogers’ approach is highly disciplined, hard to follow, and not the most time efficient for a weekend warrior like myself but I’m still going to try and incorporate it into my prep for Nepal. The first thing I should address is why an endurance athlete should do power work. After all, if your goal is to race hundreds of miles through the Himalaya shouldn’t you be focusing on endurance? Not exactly. 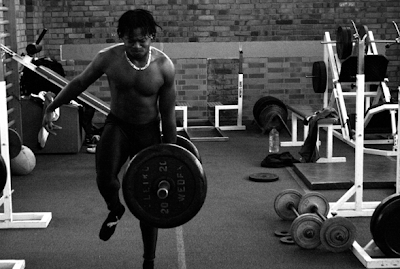 Power is muscular efficiency and translates directly to speed and explosiveness. Training it teaches your muscles how to do more work at the same size/weight. At the end of any physical encounter, assuming skill levels are matched, the one with the biggest power reserves always wins. It’s the most important athletic factor there is, even for endurance athletes. Endurance is fairly easy to train and gains come quickly. Power is harder to train and it takes a long time. Most endurance athletes don’t train power because they race too much and don’t have time to fit it into their schedules because it should be (must be, really) trained separately from your other physical systems. isoforms for those who know their molecular biology) will change to a slower, more endurance friendly type if you do too much volume. If all you do is slow, heavy. You get STRONG and SLOW. You need to do most of your work at race speeds using submaximal loads but at high speeds. unilateral is king. 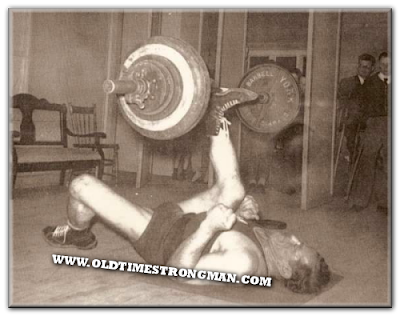 "single-leg press is our bread and butter"
The other issue for power training is patience. Again, we endurance athletes tend to be workout junkies. You’ve likely heard me say many times that training is only as effective as your recovery or that “you only get stronger at rest”. This is amplified when you train power because you often can’t feel it during the training. Performance is your only barometer. You don’t get pumped. Your muscles don’t burn. All of the things we associate with “hard training” come from endurance factors. Yet power is, by far, the most stressful on the body and forces the biggest adaptations to occur. So you have to be smart, and patient, or you will get hurt. The one thing we do that most coaches can't cop is this. If you don't make the target times or loads on the first effort or set, you warm down and go home. You aren't fresh enough to train at a level that will make you improve. If you do a PB (personal best), you warm down and go home. If you are on fire that much you can blow yourself to pieces in a couple of sets or efforts and it will take weeks to dig you out of the hole you put yourself in, so whatever it is, if you PB, you stop and come back next time. All that said, power training is addictive. Most of my close friends value it more than anything else because, frankly, it’s rad. Especially once you understand it. It’s pure performance, the opposite of enduring. But it’s every bit as demanding and takes much more discipline than any other form of training because every workout puts you at risk of being injured since 100% muscular efficiency is the goal and at 101% you are injured. I haven’t done a proper power cycle in ages. This is the year. I’ll be following many of Rogers’ principles combined with what I’ve learned at P3 (you can get a taste of this in P90X2)—a new training protocol to put on trial. The rat is heading back into the lab.